A warm and friendly welcome awaits you at our lovely Victorian home, set in a quiet location only four minutes' walk from Keswick town centre. 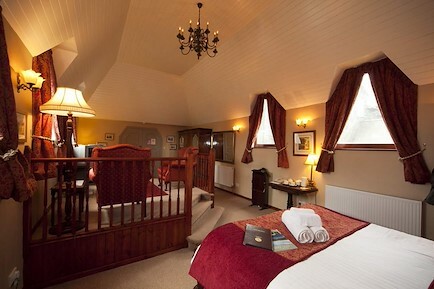 All our bedrooms are finished to a high standard and most have en-suite facilities. We have seven letting rooms and can accommodate from a single person to up to groups of fifteen. We have a large drying room which doubles as a secure bike storage area and there is plenty of unrestricted parking in the immediate area. Follow Town Centre signs. 1/2 mile after passing under the railway bridge, turn left at the Conservative Club into Greta Street. Cross over Blencathra Street and turn right into Helvellyn Street. Rivendell Guest House will be found just a few yards on your right hand side. Your enquiry will be sent directly to Rivendell. Please fill in as much detail as you can.